Take advantage of tee times at a special price! Use the buttons on the right to check out our tee time specials and book your next round today! WindRose Golf Club has become a local favorite among the Northwest Houston golf population due to excellent golf course conditions with some of the best greens around and a relaxed atmosphere providing friendly guest service. This 18-hole championship layout features lush fairways that meander through century old Oak and Pine trees. Strategic water hazards and substantial sand bunkering add to the aesthetics and integrity of this great track. Risk and reward is the name of the game on the par 3's, as all of them are guarded by water. WindRose offers a challenge to players of all skill levels looking for some great Houston golf. 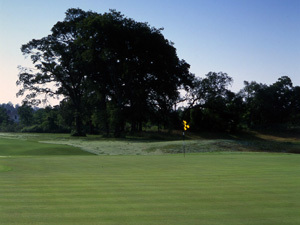 The WindRose Golf Club offers an assortment of excellent facilities. We feature a quality Pro Shop with an assortment of the latest golf gear. And if you are hungry before or after your round of golf, be sure to stop in for a delicious bite at our restaurant. For the golfer who has to work late, we are equipped with a driving range where you can sharpen your skills or take a lesson from one of our golf professionals. WindRose Golf Club has a staff of eight PGA Members committed to providing you with customer service that will make your golf visit outstanding. We proudly feature several membership and golf lesson packages to best suit your needs and budget. So what are you waiting for? Give us a call and come take a guided tour of our facility. To get more information on our golf course, our lesson packages, our memberships and more, simply call our Pro Shop to speak with one of our golf professionals. Here at Windrose Golf Club we pride ourselves on the high quality of magnificent golf, superb amenities and outstanding service that we offer our valued customers. We have worked hard over the years to become a staple of the community, and in the process we have earned recognition as one of the region's premier golf experiences. Address: 6235 Pine Lakes Blvd.